Off to @thereaderorg‘s #betterwithabook national conference @britishlibrary. Anticipating inspiration, ideas and some great poems. We welcomed delegates from a wide range of fields, including libraries and community development, education, therapy, law, nursing, and from across the country and beyond – even from as far away as Melbourne, showcasing the global reach that shared reading is beginning to have. After a welcome from Founder and Director Dr Jane Davis thanking everyone for being advocates of reading for pleasure, the day started by asking whether young people are Better with a Book featuring an esteemed panel, Baroness Estelle Morris (Institute of Effective Education at the University of York), Dr Alice Sullivan (Director 1970 British Cohort Study, Institute of Education, University of London) and Simon Barber (Chief Executive at 5 Boroughs Partnership NHS Trust). After reading from their favourite childhood books, Dr Sullivan presented the findings of an illuminating study which found that young people’s reading habits had more influence on their attainment than the level of their parents’ education. The matter of giving young people choice to explore reading in relation to their place in their world was a big talking point – Simon spoke of his experiences of running a group for young people in the mental health inpatient unit at 5 Boroughs, where they chose to read texts as eclectic as Black Beauty and Romeo and Juliet, and Estelle placed emphasis on reading as a social context for children and young people. Seminars honing in on the topics of shared reading in PIPEs, research into the cultural significance of shared reading, examining the working model of shared reading for commissioners and the links between reading for pleasure and cognitive development gave much for us to think about before heading to our main afternoon sessions. Lord Alan Howarth (Co-Chair of the All Party Parliamentary Groups on Arts, Health and Wellbeing) chaired a panel discussion how reading in prisons can contribute to prison reform and how prisoners should be helped within the system and on return to the community. The complex topic was masterfully handled by Nick Benefield (previous Advisor on Personality Disorder at NHS England and Joint Head of the NHS Personality Disorder Programme), Lord David Ramsbotham (House of Lords member with a focus on penal reform and defence) and Megg Hewlett (Reader-in-Residence and PIPEs group leader in West London). Following the day’s emerging theme of shared reading ‘opening and unlocking’ individuals, Megg shared the story of a young woman within a criminal justice setting finding herself in the poem Bluebird by Charles Bukowski, and Lord Ramsbotham spoke of his belief in the importance of Readers-in-Residence to both the medical and educational needs of prisoners. Our keynote speech came from writer, broadcaster and author Lord Melvyn Bragg, who spoke in-depth about the story behind his novel Grace and Mary, which came from his own experiences of his mother being diagnosed with dementia. He spoke about how it was important for him to help and discussed how literature linked with his lived experiences of the condition; in particular highlighting The Waste Land by T.S. Eliot and King Lear (“Nothing will come of nothing.”). In discussion with Jane, Lord Bragg spoke about his life as a reader, saying that he couldn’t imagine his life without books and explaining in powerful words what reading has done for him. A closing point from Jane which reminded us of the importance of finding ourselves in reading books from the ages rounded off a remarkable day which highlighted in real human terms the remarkable effects reading can have on so many different lives. 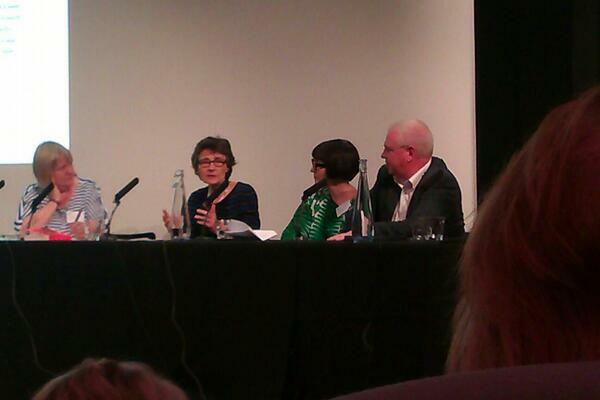 ‘Inspirational’ was the word of the day from our #betterwithabook attendees, and it was a very fitting term indeed. Better with a Book: One week to go! 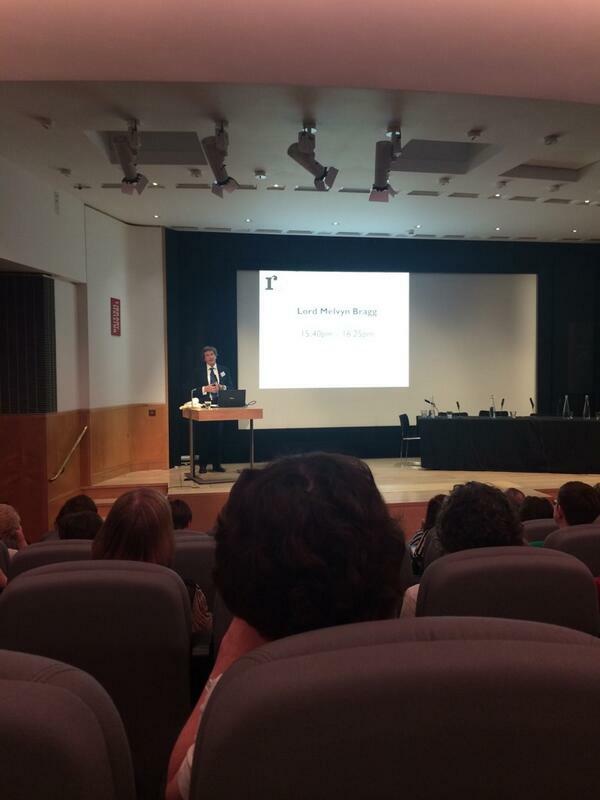 There’s just one week to go until we head to the British Library Conference Centre in London for Better with a Book, The Reader Organisation’s National Conference 2014. 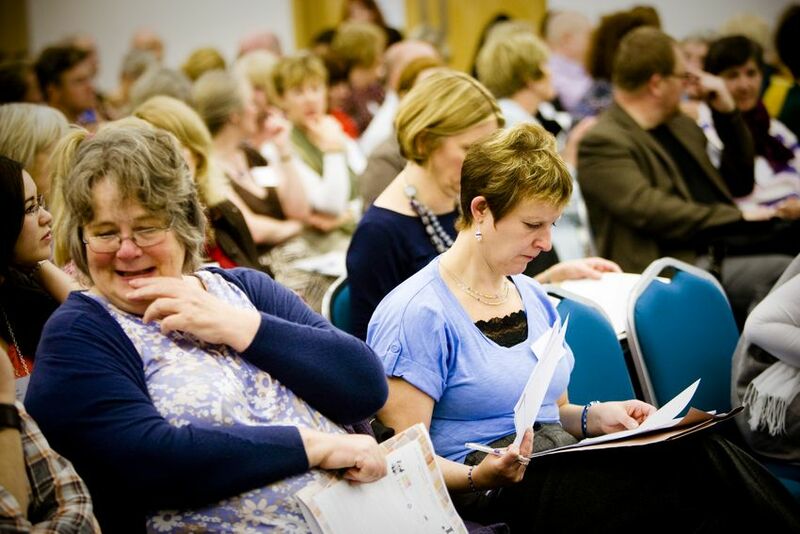 Delegates from across the UK will be joining us for the day to explore the relationship between literature, mental health, education, increased social engagement, enhanced emotional development and improved quality of life, and it’s promising to be the most enriching Conference to date with a wonderful line-up of guest speakers on the bill. Better with a Book will be examining how the practice of shared reading makes people from all walks of life, ages and backgrounds feel fundamentally better – from young people reading for pleasure in schools to literature being a way in to people within a variety of secure settings. What is it about reading, and specifically reading aloud with other people, that creates such positive impacts upon our lives? The day will begin with an introduction by TRO Founder and Director Jane Davis, leading on to a panel discussion with Baroness Estelle Morris and Dr Alice Sullivan. Amongst them they will be unravelling the relationship between reading, emotional wellbeing and educational attainment, following findings of a study by the Institute of Education – of which Dr Sullivan was a co-author – which found that children who read for pleasure do significantly better at school in a range of subjects, including maths as well as spelling and vocabulary. 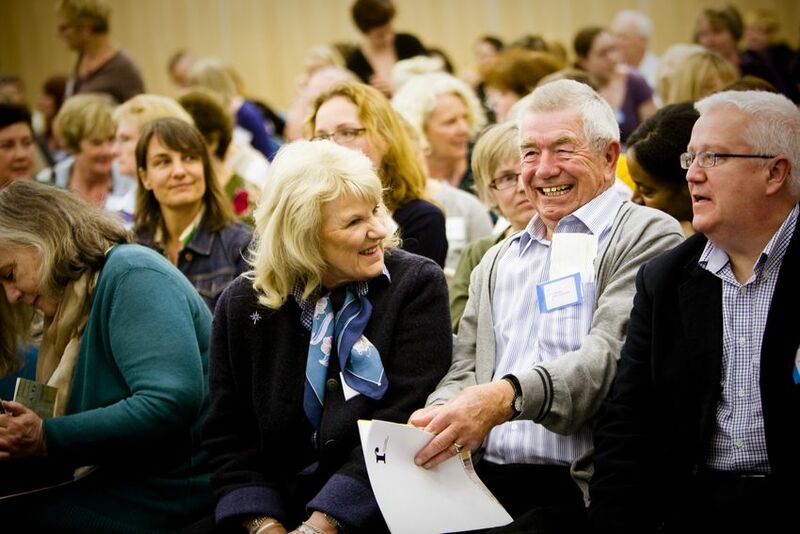 Also in the morning there’ll be the chance to Meet Our Readers as we talk to four of our regular shared reading group members from London and elsewhere around the country about how their lives have been improved by joining a group in a hospital or the community. They’ll be telling us more about their personal experiences of shared reading and the varied impacts literature has had upon them. After lunch, there will be four Breakout sessions available to attend, including a discussion of how shared reading is working practically in Psychologically Informed Planned Environments (PIPEs), a panel of commissioners who will talk about what working with The Reader Organisation has brought to them and an examination of the latest ongoing research into the cultural value of shared reading by the Centre for Research into Reading, Information and Linguistic Systems at University of Liverpool. Reading in secure environments is a significant area of our work, and Lord Alan Howarth will be chairing a discussion between Nick Benefield, previous Joint Head of the NHS and National Offender Management Service Offender Personality Disorder Implementation Programme, and Megg Hewlett, Reader-in–Residence at West London Mental Health Trust, about shared reading as a therapeutic intervention in secure environments. Rounding off the day, Jane will be in discussion with writer, author, broadcaster and former President of MIND Lord Melvyn Bragg who will talk about his life as a reader and his novel Grace and Mary, which is based on his experiences of living with a relative with dementia. All this as well as a chance to experience shared reading firsthand in some special sessions – it’s going to be a truly stimulating day enjoying great literature and the positive effects it can bring. Author LisaPosted on 8th May 2014 16th February 2017 Categories Authors, Criminal Justice, Events, Health, Well-being & Community, London, Reader Stories, Reading for pleasure, Research, Schools & Young People, Shared Reading, The Reader, UncategorisedTags Reading in Secure EnvironmentsLeave a comment on Better with a Book: One week to go! The latest research into the effects shared reading is having as a non-medical, literature based intervention into health conditions has been published by The Reader Organisation and research partners. The study, carried out by a partnership between the Centre for Research into Reading, Information and Linguistic Systems (CRILS) at University of Liverpool and The Royal Liverpool and Broadgreen NHS Hospital Trust, investigates the impact of shared reading for people living with chronic pain when delivered in a clinical setting. As part of the research, The Reader Organisation held a regular shared reading group at Broadgreen Hospital for patients with chronic pain who had been recruited from pain clinics around the Trust. Intital results from the study, which was examined in a seminar at last year’s National Conference, have proved to show positive impacts in the relationship between shared reading, alleviation of pain symptoms and improved psychological wellbeing, with factors such as absorbed concentration upon the literature, a sense of community, comradeship and social connections being established and an enhanced quality of life all emerging for patients taking part in the group. The study follows previous research from CRILS which focused upon shared reading in relation to mental health conditions and is the first time data has been collected on physical health and a literature-based intervention. Though more research is needed into exploring the relationship between chronic pain, reduced symptoms and a shared reading intervention, this initial study gives positive indication that further work can be established and could be extended to dialysis wards and other areas of physical health at Broadgreen and the Royal Hospitals. 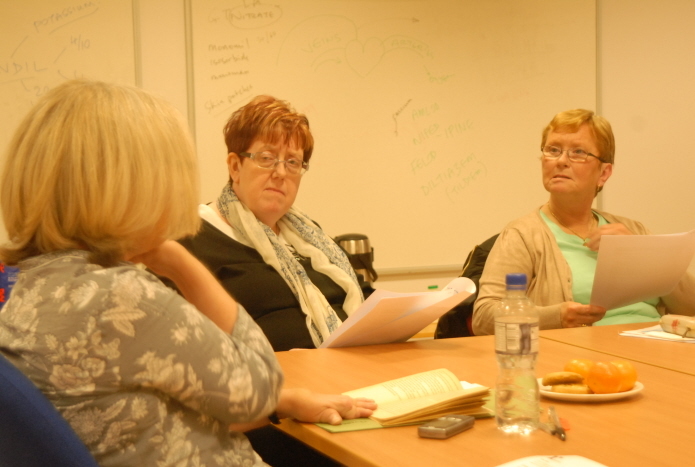 The shared reading group set up for the study at Broadgreen proved so popular that The Reader Organisation has been commissioned to run sessions there for the next three years. The Reader Organisation’s volunteering projects in Barnet are growing, with two new projects to spread shared reading across the area. 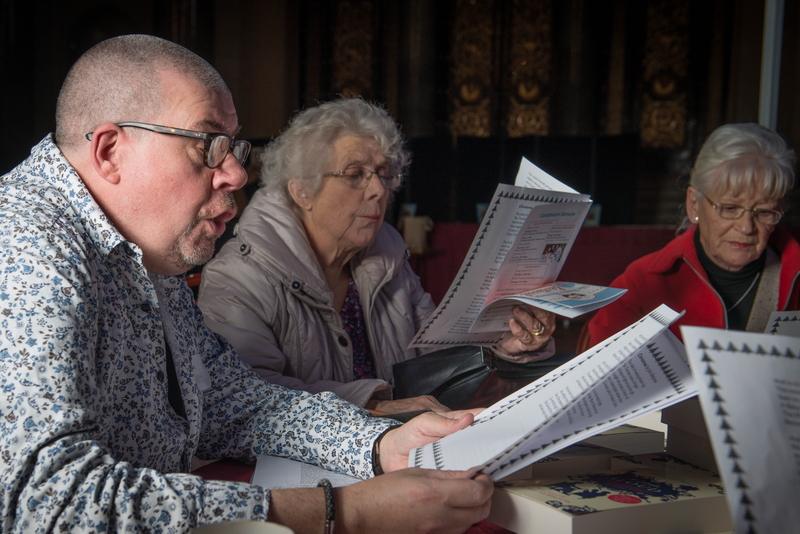 Reading for the Brain will recruit and train volunteer facilitators to read with people living with dementia and their carers, and Altogether Better is a community project which aims to bring generations together through shared reading. The invitation sits pinned by the kitchen radio and has been there since September 2011. I live with my grandmother. She is in her late seventies, she doesn’t like groups or socialising and at the time was suffering from depression. I suggested she went along to the reading group with a hope that she might actually enjoy it. For the few weeks leading up to the group I would occasionally bring it up. ‘I’ll see how I feel,’ she would say. I came home one evening to find a two poems and a short story on the kitchen table. I asked how it was. I would come home from work on a Monday and read the copies of the poems and short stories from her group and we would talk about them. She would tell me what others had said and I would read and see if I agreed or if I thought it meant something else. It could go on all evening. This happened for months. I even went along to the group on a few of my days off and I was surprised at how much I wanted to share my opinion about the literature. I enjoyed it a lot more than I thought I would. I got a new job with Jewish Care as an Activity Organiser in a residential care home. 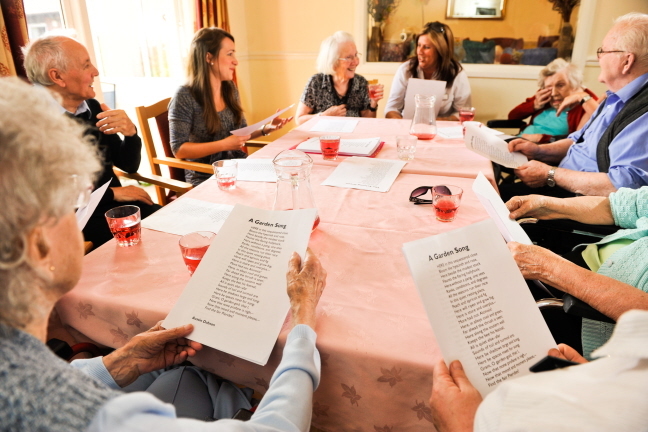 I thought it would be nice to have a reading group at Clore Manor, the home I was working at. I had been to a few of Nanny’s groups by then and it was simple; read and discuss. I took one of Nanny’s poems from the reading group and made copies. I rounded up my most verbal residents and for a tremendously struggling 15 minutes, I tried to re-create the groups I had been to. It was so difficult I gave up and never tried again. In July 2013 I was introduced to Paul Higgins to discuss the prospect of establishing a reading group at Clore Manor. I told him about my terrible tale and we realised that Paul was the man responsible for establishing Nanny’s reading group. I was chosen to attend the three days Read to Lead training to be able to become a shared reading facilitator. The training was brilliant. I realised there was so much more to becoming a facilitator than I had ever imagined. It wasn’t just ‘read and discuss’ at all. The training was professional and insightful and I have now been co-facilitating a reading group for residents with dementia at Clore Manor since October 2013 along with Liz Kon who was the volunteer facilitator at my nan’s group previously. I look forward to the group every Wednesday and sharing the role and having someone always on hand to offer guidance and support is invaluable. The residents always say they have enjoyed it and I am pleased to say the group is going from strength to strength. Paul is also always contactable and the monthly facilitators meetings are really helpful. I think the best thing about becoming a shared reading facilitator is mastering the skill of asking the right questions. And also how to cut people off graciously during mid-conversation. I rarely have to use it in the group but it comes in handy in other places. I attend the group at Cheshire Hall on Mondays, 1.30-3.30pm. When we read sections of a book or read a poem it is fascinating how different each of us is in the group feels about what we have read. There are usually five or six of us ranging in ages from late twenties through to pensioners. Over time we have overcome retinence to express our opinions and share our feelings and experiences. It is amazing how a few words can evoke memories, some sad, some happy. As we all get along well despite our differences it is not difficult to share our thoughts. Monday is a day with a difference. For a short time we can relax and think of other than the normal day to day occurances, talk freely, enjoy the company of people with similar interests and have a cup of tea provided cheerfully by the facilitators. Finding it easy to express my feelings at the book club has given me the confidence to do so in other settings. And I find by doing so, other people are more willing to do so. Shad has been coming to Book Break, one of our shared reading groups, for two years. He is Kurdish, originally from the north of Iraq. This is Shad’s story, in his own words. I’m very ill, sleeping all day if there is nothing to go to. I get up for the group because it is something to get up for. My childhood, my problem started when I was four or five years old. I stayed away from groups. Coming to this country was not easy, it was completely different. Book Break is the first group I have been to in my whole life! I was talking to my occupational therapist and he said “We have a Book Break”. I like reading; it is a hobby, I like education and to study. I enjoyed reading as a kid. That was my enjoyment as a child. I wanted to know things. In my country I was reading Chekhov, Agatha Christie and Shakespeare but in Arabic. I’d been trying since I came here to the UK. Before Book Break I’d spend three hours in the library and buying books but I can’t concentrate reading by myself. I still can’t read by myself and enjoy it and keep going. I can’t concentrate. I believe I was losing my memory. I can’t remember the story. At Book Break when someone starts talking (about what we read last week) then my memory comes back, like a flashback. I have it. It triggers, I remember. We read it slowly so even if I can’t get the words or the meaning, I get a sense of it and when we stop reading I can ask the English word. Then when I go home I find it on google. It’s getting my confidence back that I can read stories again. I lost trust to be with people or put my opinion. I lost confidence. But here in Book Break I can discuss difficult things and people still welcome me back. That was missing in my life, even in my family. Book Break is like you say whatever you are going to say. It’s really friendly. Book Break is like a perfect family. Different ages, male and female, we all still talk and discuss. I can’t believe this kind of group exists. I feel it’s like a true family. It’s hard for me to feel comfortable and relaxed after all I’ve been through. I’ve been told to go to many groups but I couldn’t find myself there. I feel sick going to interviews. Book Break is the only group I come to voluntarily. I love it. If I’m not well I can come back as if I hadn’t missed. People are welcoming. Usually in a group when I try and talk about what I’ve been through it feels wrong and I don’t feel I can talk about it or go back. Here at Book Break, through the stories, I feel I can talk and I feel really good, not bad. And I feel a relief. This is what happens through the stories. Comparing myself with the stories, this helps me. It gives me hope. I tried to end my life because I found no hope or where I belonged or who I could trust or who I could talk to. In this group it’s about the books and discussing things that happened to us. And listening to other people’s stories, it’s not just me, it gives me hope. In the street people don’t talk about what’s happened to them. But in the group we talk about what’s happened to us. We can help each other. Trust is there. I helped another group member with the puncture on her car and she thanked me. Book Break feels safe. I want people to know my story to encourage other people. Find out more about the impact of shared reading and how you can get involved. 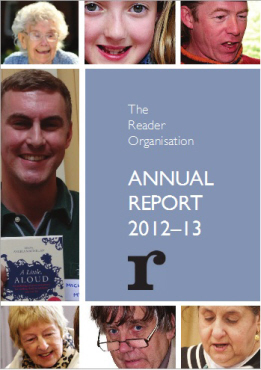 The Reader Organisation is part of The Big Give Christmas Challenge 2013. From today, 5th December to Saturday 7th September, if you donate to TRO through our profile on The Big Give website there’s the chance that the donation will be doubled by match funding from The Garfield Weston Foundation. Donate online by clicking the ‘Donate Online Now’ button as close as possible to 10am today, Friday and Saturday to increase the chance of your donation being doubled, helping us to reach more people through shared reading. The money we hope to raise via The Big Give Christmas Challenge will be used to appoint a new Project Worker who will share reading with some of the most vulnerable people in society. 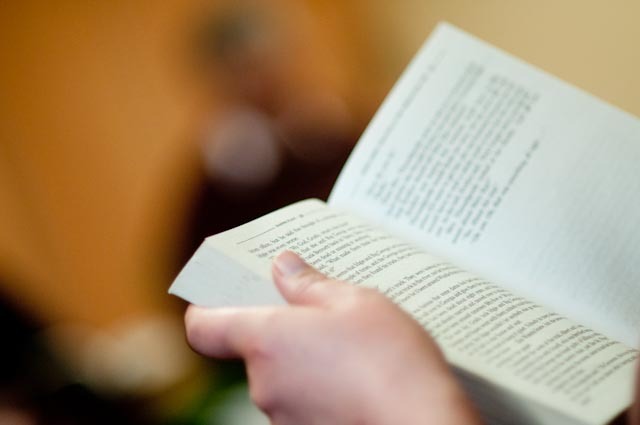 On a weekly basis we reach groups who are in need of the comfort, companionship and much more that great literature provides, including people at risk of or experiencing social isolation, looked-after children in foster care and those living with dementia. £20,000 will allow us to employ a Project Worker who will work with 200 vulnerable people, extending the positive effects of shared reading and making a huge difference to many lives. “Matthew has early on-set dementia and is much younger than most of the other patients on the ward. He rarely interacts with the other people and appears quite isolated and depressed, talking only in monosyllables and taking a long time to respond to questions. His speech seems slow and impaired: he struggles not only to find words to be able to express himself but also to find the will or desire to make such acts of communication in the first place. I noticed during a session that centred upon an extract about summer-time from Laurie Lee’s Cider with Rosie that Matthew seemed to be looking about him more than usual and to be listening attentively to what was being discussed by the other group- members. I asked him what he’d like to eat during a hot day in summer. He replied in a single word – ‘Fruit’. I asked him what kind of fruit. He said ‘Apples, oranges.’ This response was quite a breakthrough for Matthew. Any size donation you can give would be hugely appreciated to help us continue making these moments happen. As there are limited funds available as part of The Big Give Challenge, be sure to donate as near as possible to 10am for the chance of your donation being doubled by match funding. Click the ‘Donate Online Now’ button on our Big Give profile or click here go directly to the donation form.